10 days left until christmas and still the most important thing is missing: snow..! But for me another thing is missing as well: the presents! Are you the person who manage to get all christmas presents before summer ends or are you a last minute shopper who is desperately looking for presents on the 24th of December? I have to admit that I am both. Sometimes it’s easy and I find the perfect present during the year or when I am travelling. But usually I am also buying my presents the last days before christmas. 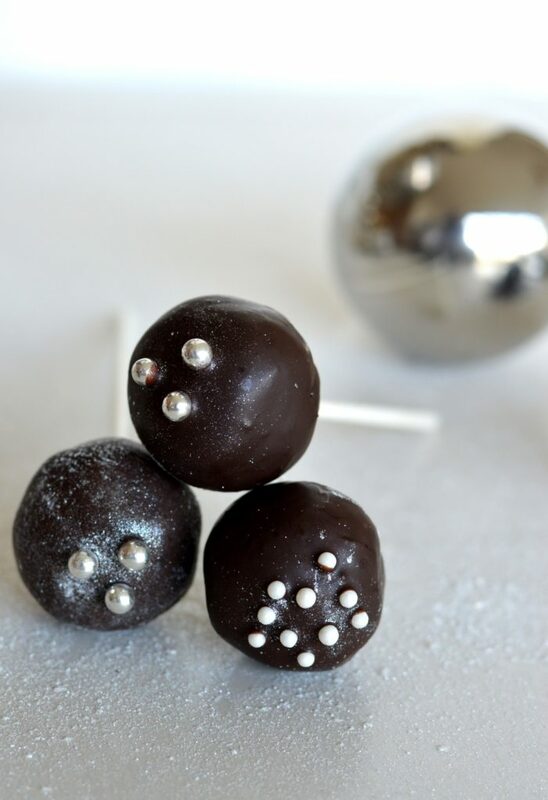 If you still have no clue what to give to your friends or family what about these heavenly Cake Pops..? These are the perfect last minute present, because you can prepare them until 4 days ahead and decorate them to cute little treasures! 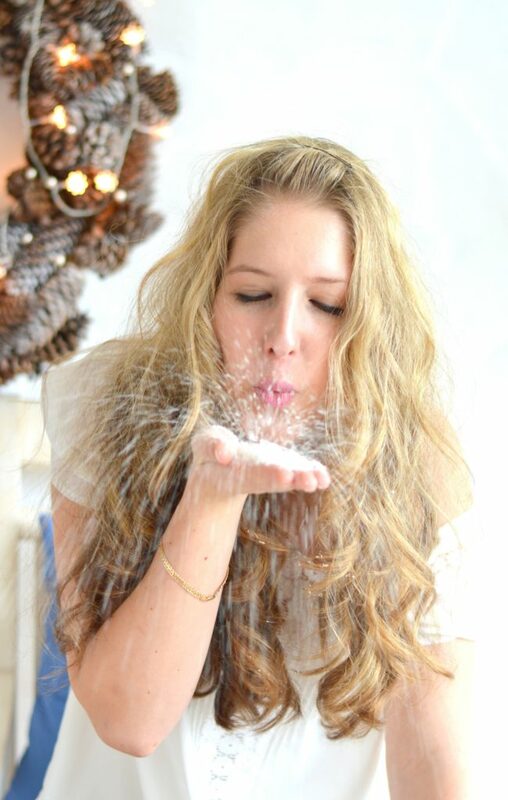 This time I used chocolate for creating angel wings and eatable glitter to give them the finishing christmas touch! You need a little time to prepare them but the semi sweet gingerbread taste and heavy chocolate glazing is worth it! 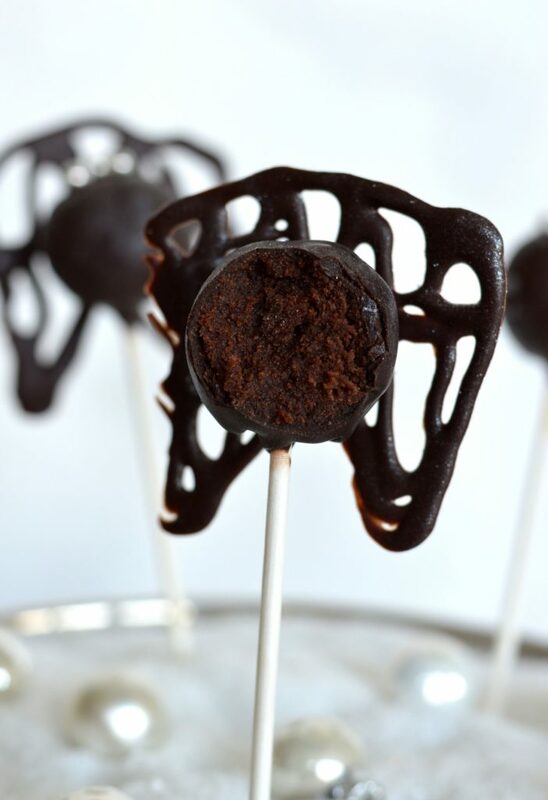 You have to keep them in the fridge because then the Cake Pops won’t lose their moist and luscious consistence! For the angel wings: Prepare cold (put in the freezer for 10 minutes) baking tray with baking paper. Melt chocolate icing and pour into a piping bag, carefully draw the wings on the baking paper. Let it set and dry a few hours. For the cake: Cream butter and sugar. An after another add the eggs. In a bowl whisk together flour, salt and baking powder. Add dry ingredients to the butter-sugar-egg mix. At last add the cacao powder. Preheat oven to 180°C prepare a baking pan by oiling it, pour the batter in and bake for 40 minutes. Remove cake from oven and let it cool completeley. For the frosting: Melt chocolate, cream butter and melted chocolate together. Add confectioner's sugar, vanilla extract and cream cheese. Cream until combined and put in the fridge. Next take the cake and crumble it until it's very fine crumbled. Slowly add half of the frosting to the cake crumbles and knead with your fingers, slowly add more of the frosting and be careful not to add too much then your cake pops will be too soft! Sometimes you need not everything of the frosting, then you can just freeze it in. The consistence of the mix should be like modeling clay. Form small balls (about 30-40 g) and put them in the freezer for 20 minutes. 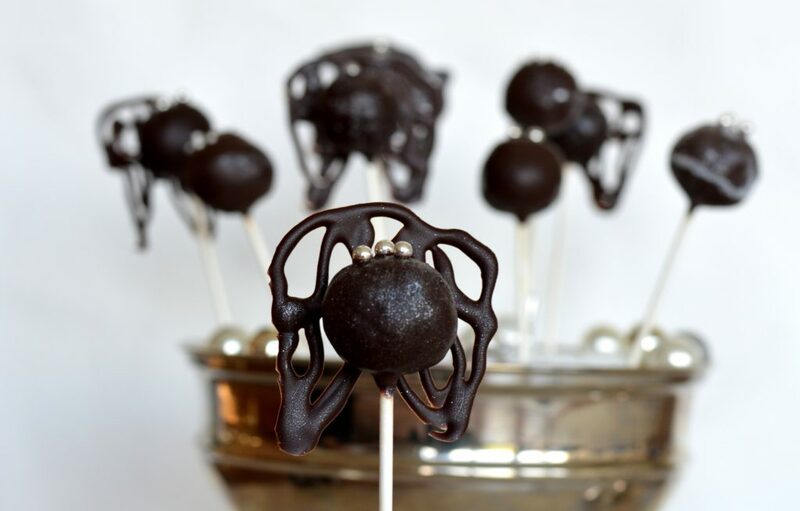 Melt the dark chocolate icing, dip the Cake Pop stick into the icing and then carefully pop into the cake ball. Do the same with all of the balls and put them again in the freezer vor 15 minutes. 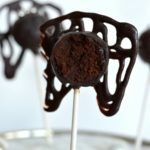 Now remove and dip in the icing until Cake Pop is completely covered with icing. 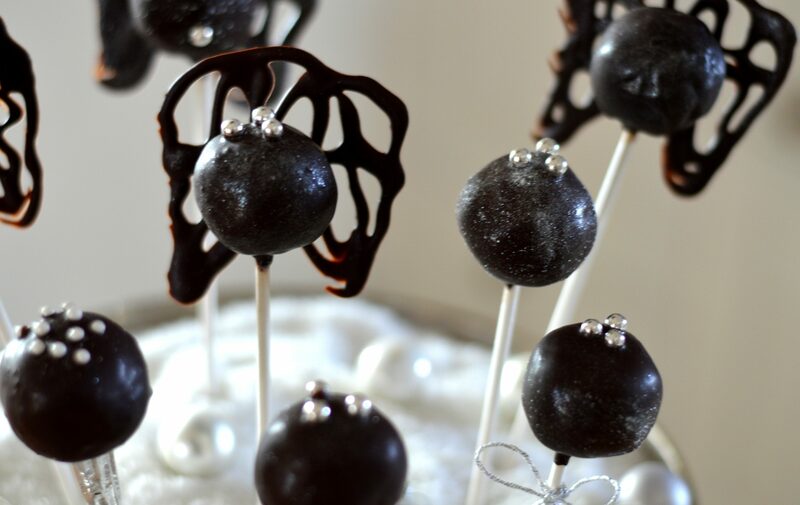 Now decorate Cake Pop with the chocolate wings and glitter. Very beautiful and so festive. 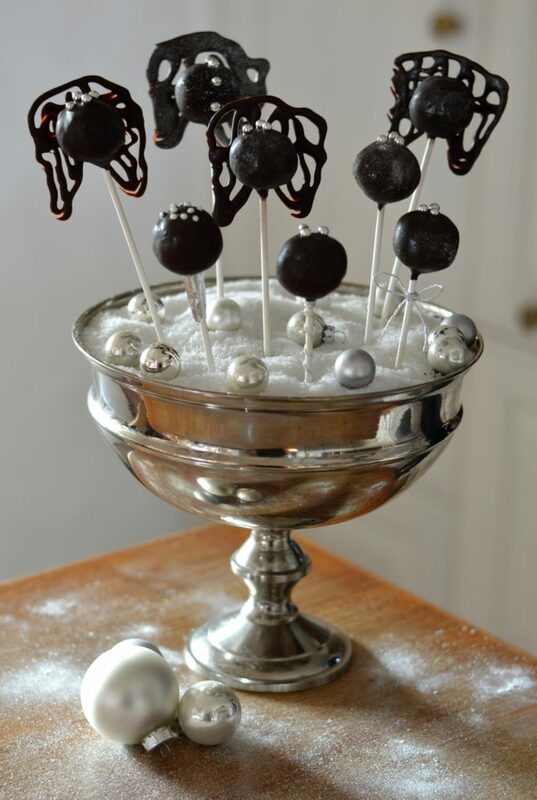 I love cake pops, gingerbread and chocolate what a lovely idea!! Yes me too I love the combination of gingerbread and chocolate 🙂 thank you!